In last two decades in orthopaedic surgery the modality which has grown very fast & has come to an age, is the joint replacement. 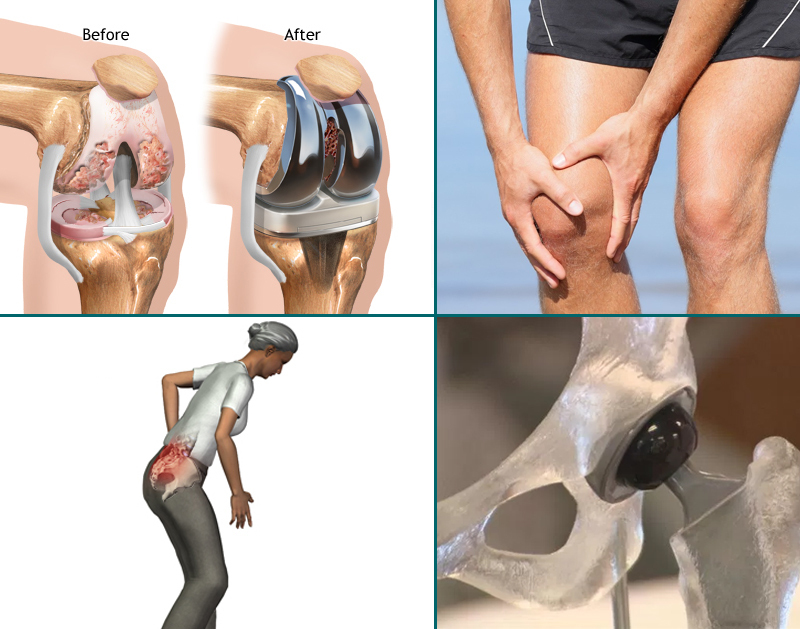 The unicondylar knee replacement, Total knee replacement for osteoarthritis, rheumatoid arthritis etc. Hemiarthroplasty & total hip replacement for fracture neck of femur rheumatoid arthritis, ankylosing spondylitis, secondary osteoarthritis, AVN etc. Shoulder arthroplasty & elbow arthroplasty for traumatic & degenerative ailments are the procedure performed at the centre.